At All American Landscaping, we strongly believe in doing things right the first time. 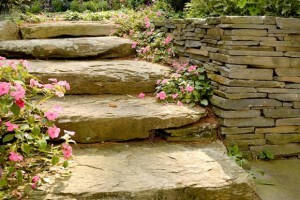 There are no shortcuts accepted when we do stonework or construct a retaining wall. We know that base preparation is key to the final product and throughout the building phase, all rules of drainage and engineering will be closely followed. The owner, our project manager, and each of our installers are certified hardscapers. We’ll make sure your yard gets built to your liking and will last for a long, long time.